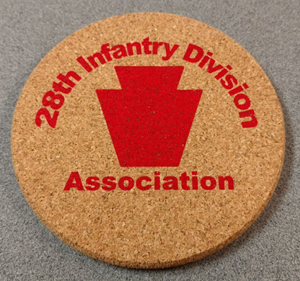 Cork coaster, measures four inches in diameter. Mini Blue Star Family Flag - The official banner authorized by the Department of Defense for display by families who have members serving in the Armed Forces during any period of war or hostilities the United States may be engaged in for the duration of such hostilities. The mini flags are 4" x 5" and include a suction cup that attaches to smooth surfaces. The Service Flag is an indoor flag and should be flown facing out from the front window of the home or organization. 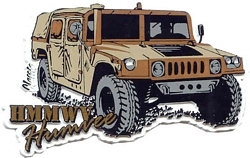 Mini Gold Star Family Flag - The official banner authorized by the Department of Defense for display by families who have lost a family member while they were serving in the Armed Forces during any period of war or hostilities the United States may be engaged in for the duration of such hostilities. The United States began observing Gold Star Mothers Day on the last Sunday of September in 1936. Blue Star Family Flag - The official banner authorized by the Department of Defense for display by families who have members serving in the Armed Forces during any period of war or hostilities the United States may be engaged in for the duration of such hostilities. The flags are 8" x 14 1/2". The Service Flag is an indoor flag and should be flown facing out from the front window of the home or organization. Gold Star Family Flag - The official banner authorized by the Department of Defense for display by families who have lost a family member while they were serving in the Armed Forces during any period of war or hostilities the United States may be engaged in for the duration of such hostilities. Division License Plate Holder-white with red lettering. 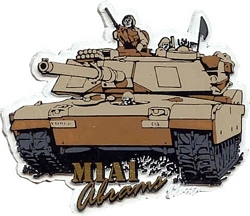 Version A (top) or Version B (bottom). Please specify version when ordering. 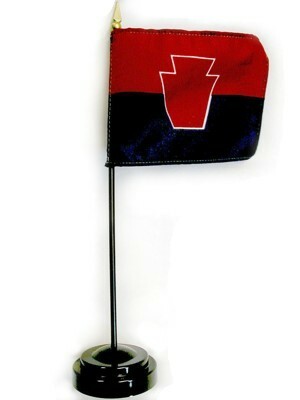 28th Division Table Flag, 4" x 5 1/2 inch, mounted on a 10 1/2 inch black plastic flag staff with base.